The suspended top judge had challenged his ongoing trial but an appeal's court cleared the way for the hearing to begin. Nigeria’s suspended chief justice has been ordered to appear in person for his trial on February 13. The Code of Conduct Tribunal (CCT) is hearing a case involving Chief Justice Walter Onnoghen accused of corruption charges. He has failed to appear for his trial since the case begun last month. 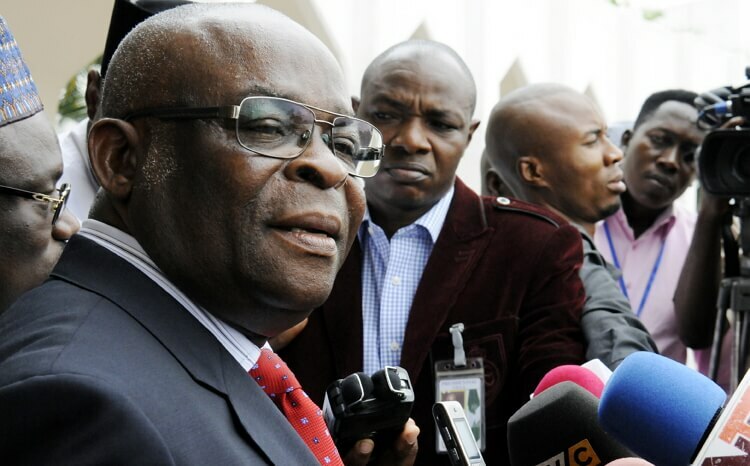 Justice Walter Onnoghen is facing charges of failing to declare his assets before taking office in 2017. Nigeria’s President, Muhammadu Buhari suspended the chief justice, backing it with the ongoing hearing at the CCT. The suspended top judge had challenged his ongoing trial. But an appeal’s court cleared the way for the hearing to begin. On Monday the chairman of the tribunal hearing Onnoghen’s case ordered him to appear in person. “The defendant must appear in court on the next sitting of this tribunal. He has to appear, be arraigned and thereafter he can raise any objection, if he has any,” Chairman of the Code of Conduct Tribunal (CCT) Danladi Umar said. Umar told the court that the case was adjourned until February 13 “so that all issues will be resolved while he (Onnoghen) is present”. Onnoghen’s suspension has been condemned by many including the opposition in Nigeria and the country’s bar association. But President Buhari has rejected claims that his decision is political.